It's my lifelong dream to have a gorgeous Chicago loft with original brick accent walls. A marigold sofa would sit against the brick wall in the living room area with two cranberry Gallega (Teys) Natura Chairs (retail $12940) along the adjoining wall. Above the chairs would be a wall of classic records, including all the works for the great band Queen. Unfortunatley, I wasn't blessed with the riches it would take to own such furniture in such a loft. Just owning a cpmplete set of original Queen records would cost a couple thousand, probably more! Instead of waiting for that dream to come true, I'm slowly turning my current living room into the room of my dreams. 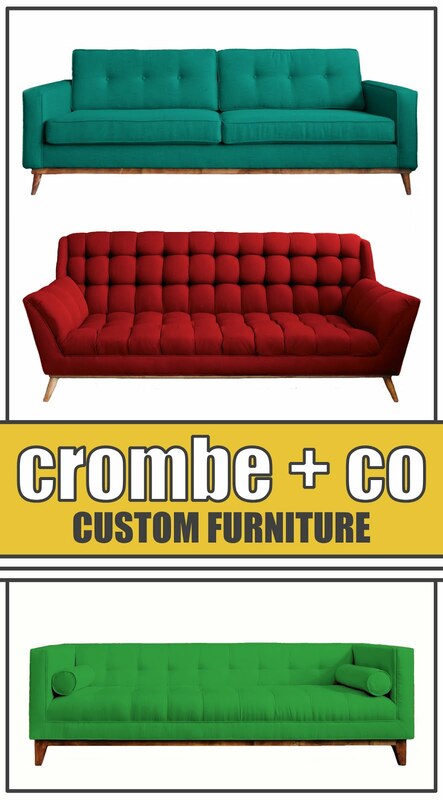 Tuesday, I purchased a cute red sofa from Craig's Llist. It's the perfect deep cranberry that makes you feel warm and comfy in the winter but can be spicy and fun in the summer. It completely changed the look of the room. The records were next. It took awhile to figure out a way to get them to stay on the wall...tape didnt' work so we ended up with thumbtacks. We could have used record frames but hanging 50 of those probably wouldn't look to good, not to mention you don't get the authentic record feel when your'e staring through glass. With the records hung, the room is starting to have the urban loft feel I've always wanted. Of course, the blue Queen Anne's chair is being sold today and will be replaced with two matching retro chairs - I can't wait! The love seat is either going to be covered or sold, I can't decide which. Freddie Mercury and Kurt Cobain will be showcased as they rightfully should and I'm making an awesome knock-off of a designer bookshelf which retails for over $1000. I found the perfect rock/music throw pillows on etsy.com. They also had cute bowls made out of vinyl records and great wall art. Etsy is an artist marketplace. All the pieces are made and sold by the designers themselves. The prices may be a little high, but you're supporting designers, many of whom are local, and you're getting original stuff. Check them out next time you're doing a little online shopping. So far, so good! I'm excited about the direction the room is going in. The dining room was my favorite room, but now I think it's the living room!! I can't wait to get the record player this weekend, then I can listen to America and Queen the way they were meant to be heard...on vinyl!